Dos Equis, the Official Beer Sponsor of the College Football Playoff and the cerveza that single-handedly created the game itself, is keeping it interesante this season. Breaking next week, the brand unveils new television spots featuring coaching legends Les Miles and Steve Spurrier. The ads are the latest in Dos Equis’ “Keep It Interesante” campaign, launched this past spring to give drinkers permission to embellish their stories to make for a more entertaining night out. 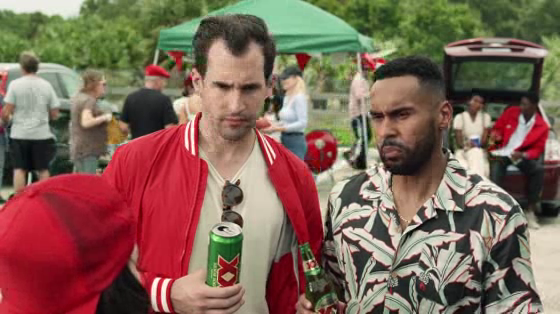 For college football season, Dos Equis enlisted Miles and Spurrier to show the world how Dos Equis shaped every aspect of college football, with no help whatsoever. In a series of spots created in collaboration with Droga5, the coaching legends are spotlighted in ways fans will definitely recognise, but adding a fun, interesante twist.